Free Stuff. Those two words bring joy to the heart of thrifty bargain hunters the world over. And rightly so. After all – who doesn’t love getting something for nothing. Some people may be sceptical about the idea of getting things for free. Aren’t we all taught that you don’t get anything for nothing in this life? Well, that’s sort of true, but if you just look at the definition of free as being that you haven’t handed cold hard cash over for something, then actually there is still a fair bit in this world that you can get for nothing. I first came across Latest Free Stuff a couple of years ago when I appeared on BBC 3CR’s Nick Coffer show with their founder Deepak Tailor. The idea behind their site is simple – it puts people at home directly on to the free products that brands and companies are giving away, normally as a way of enticing people to buy their product over a competitor’s. When Deepak arrived at the BBC 3CR studios in Luton he was carrying a huge plastic box full of things that he had acquired for free – and that people using his website could get too. Latest Free Stuff just act as the middle man finding the giveaways for us bargain hunters and saving us the time for searching all over the internet to do so. It has to be acknowledged that most of these products will be sample sized, or possibly vouchers to go and pick up a lower value product especially food ones, in store, but if your budget is tight then a load of sample products can easily prevent you from having to spend money on some essentials for a little while – hence helping you save money overall. It’s also the case that in most examples you will be signing up to someone’s mailing list in order to get a free product, but as voucher loving bargain hunters will already know, by signing up to a mailing list you’re more likely to be then receiving further special offers and money off vouchers – so in other words Latest Free Stuff is also saving you some of the faff in trying to find all these mailing list sign ups yourself. 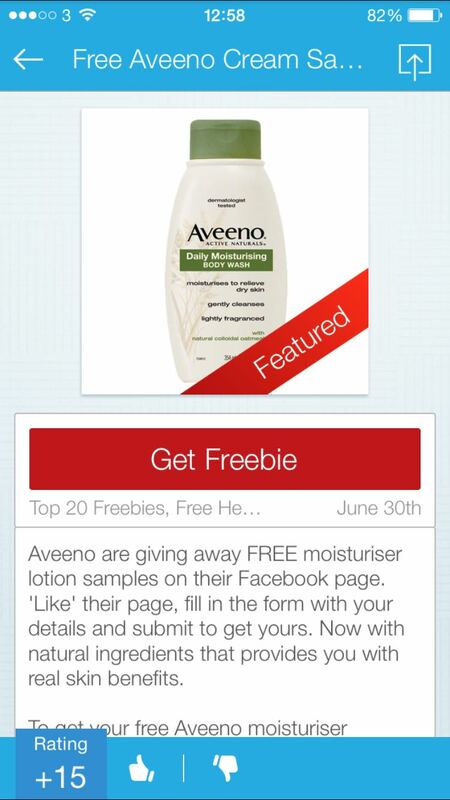 Now, sites giving away freebies aren’t always the easiest of sites to use. There are usually pop up windows galore and you may well click on one site and then be passed on to another and another, and before you know it you can almost become a bit lost in the Internet. On a laptop or desktop you can easily just bring up another browser window to get back to the Latest Free Stuff site, but on a mobile or tablet it’s not so easy. Many of their web browsers struggle with all those pop ups for instance. Latest Free Stuff have come up with a solution to that problem though by being the UK’s first freebie site to launch their own app. With versions for iPhone and iPad, as well as Android phone and tablet they’ve really got all bases covered for bargain hunters. 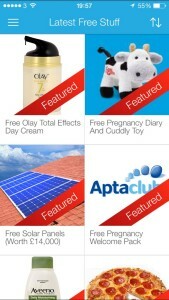 Once you open the app you’re taken straight to the freebies, with prominent pictures of all the freebies on offer so that you can easily see which ones are of interest to you and click through to them straight away. Once there you just click a “Get Freebie” button and you’re taken straight to the form you need to fill in to do so. Once you’re done you just go back to the screen you were on before and can continue your freebie search. There are further options in the app to filter by categories or that day’s new freebies, or even just the most popular ones – all of which are really handy for seasoned thrifty types. I’m impressed at how easy the app makes it to find freebies, although they do now also include in their listing some products that aren’t quite as “free” as others. Some are “free if you buy something else” type offers, whilst others are giveaways where you aren’t actually guaranteed a product – so just say 100 people a day get something. I personally would like to see some sort of flag on the offers when they come up on the main screen so that at a glance you can tell if it is a guaranteed freebie, or more of a competition offer or one where you need to fill in a longer survey to get a product. It would streamline the freebie hunt even more. 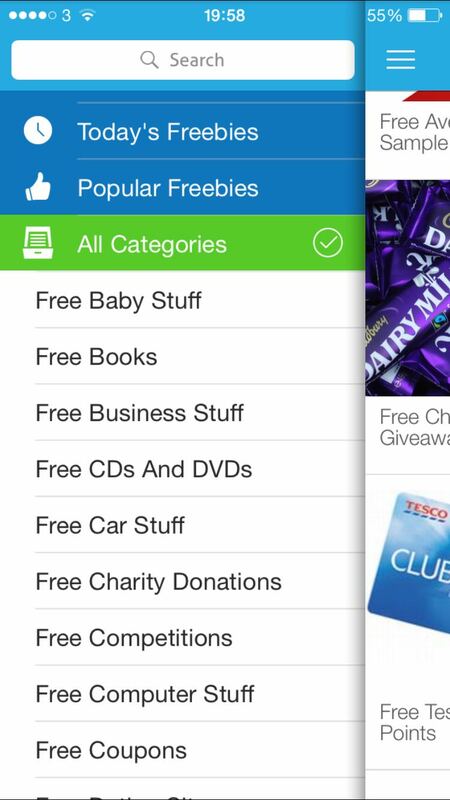 There are a couple of small teething problems with the app – mainly when you try to login to a giveaway site using Facebook as the Latest Free Stuff app just seems to get a bit confused at that point – but I’m assured that all these are being addressed in the next update to the app. 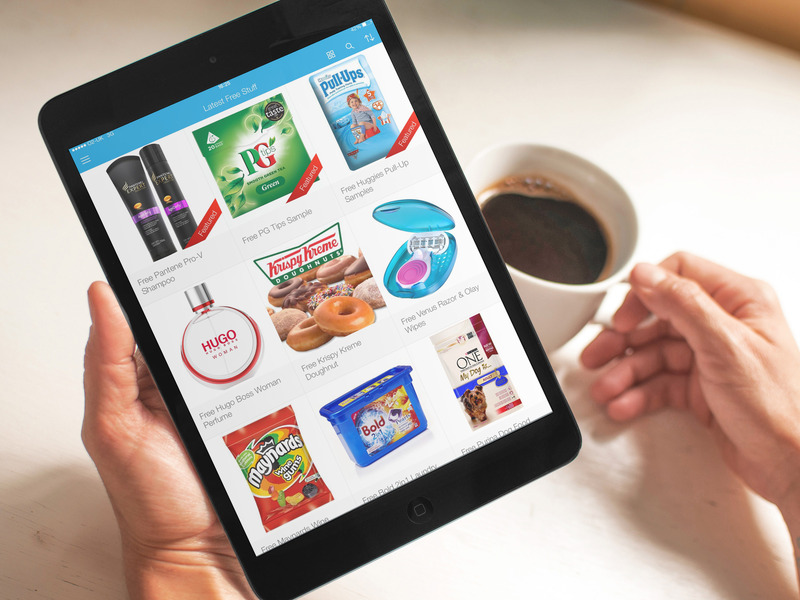 Looking ahead to autumn and the run up to Christmas I’m planning a big push on vouchers and aim to see just how much money I can save by a bit of extreme couponing and I can certainly see the Latest Free Stuff app really helping me in doing so. 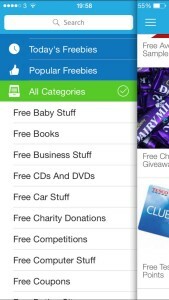 Definitely a great app for freebie hunters. Disclaimer: Whilst the Latest Free Stuff app is free to download I am receiving compensation for this review. All opinions remain my own. Latest Free Stuff can also be found on Facebook and Twitter.